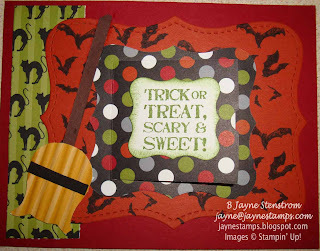 I received this card in a recent swap and thought it was really cute, especially the broom that was made from the Owl Builder Punch. Plus I like the "cat" DSP from the Frightful Sight package. Definitely easier for me to look at than those spiders from the other day. The saying is from the Grateful Greetings stamp set in the IB&C. So I thought that was it - an adorable card with a new idea for the Owl Builder punch. But then my friend Sara asked me what I thought about the way it opened. Huh? What do you mean how it opened? I had to go back and check it out a little more carefully. 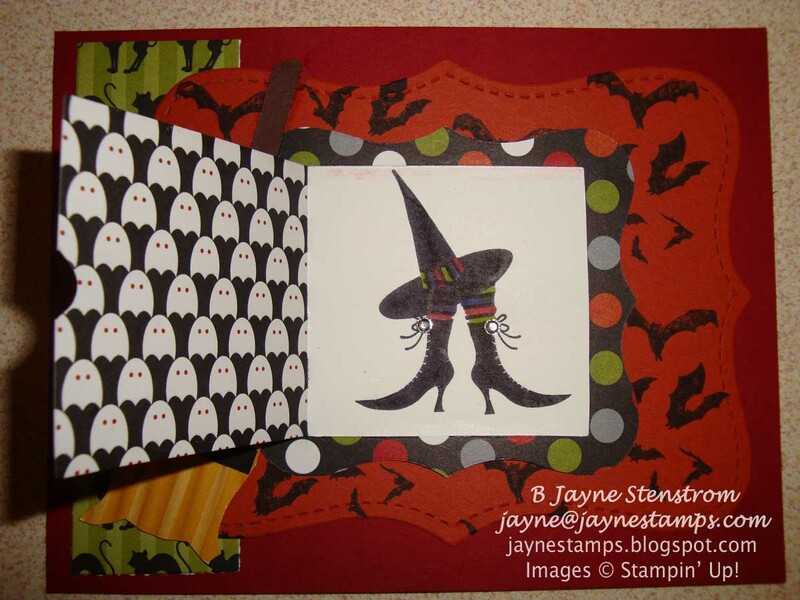 Angie vanderLeek (who made the card) had used the new Peekaboo Frames Bigz L Die from the Holiday Mini Catalog and when you opened it up, there was a "surprise" inside! Now isn't that just stinkin' cute? 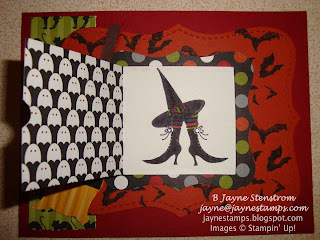 The hat and feet plus the bats are from the Wicked Cool stamp set in the IB&C. How could I have missed that? Well, partly because the card was in a clear envelope when I got it and I just looked at the front. (That's my story anyway!) 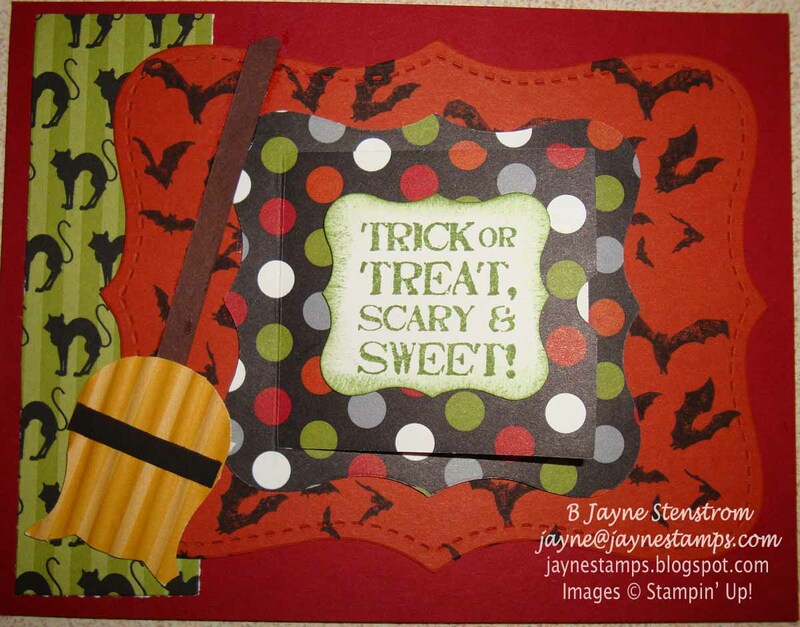 I just got the Peekaboo Frames die and can't wait to start playing around with it. It makes an adorable Advent Calendar that you can see on page 36 of the 2011 Holiday Mini Catalog, but it's definitely not limited to just that! We're off to get a new member of our family - a teacup miniature schnauzer named Bella Rose. I can't wait! We're hoping that the cats don't have too hard of a time adjusting... time will tell.